Who is it that decides what plants are called? I don't mean the official Latin names; I know that is usually botanists' work. What I'm curious about is the common names. Without going all Romeo and Juliet, who is it that decides the names by which plants are known? Take this flowering wild plant as an example. In English it is referred to as Mediterranean Catchfly which in itself is an interesting and rather particular name yet it is nothing when compared with the Maltese name for it: Ilsien L-Ghasfur or Bird’s Tongue. What could possibly have led people to start referring to it by that name? People may have lost touch with nature these days but surely there can’t have been a time when it was common to look at this flower and think “yep, that looks just like a bird’s tongue”. Whatever the origin, it surely is a memorable name. 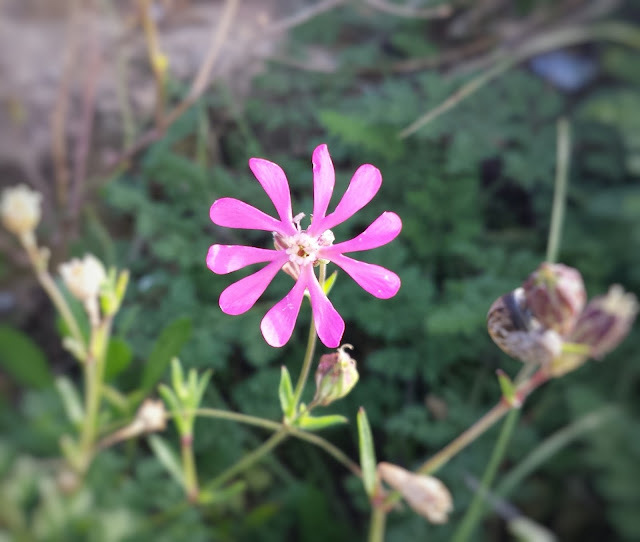 Just like the flower itself, particularly the bright pink colouring that greatly contrasts with its green leaves. 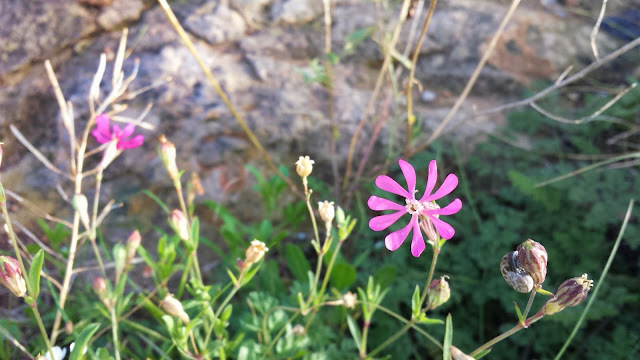 That this is a pretty common wild plant across the Maltese islands deprives it of much interest yet it remains an attractive little flower (its diameter is usually between one and two centimetres) that reflects the delicate perfection of nature through the five petals that make up each flower. The plant is a fascinating one even after the flowers die off. The vase like calyx dries out and then, if you touch it slightly, seeds fall out of the openings that remain at the top.